Hello Dear, Welcome to GP Night Pack 2017 Offer 2GB 59 TK. All the Grameenphone prepaid and postpaid customers are eligible to buy GP Night Package 2GB internet 59 TK Offer 2017. If you are a Grameenphone user and want to activate GP Night Internet Package 2017 Offer, Just follow the below. 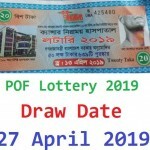 To activate Grameenphone 2 GB @ 59 TK Night package Internet offer, Customers need to Dial USSD Code *121*3069#. VAT + SD + SC Including in 59 Taka. The validity of GP Night Internet Package 2GB Data 59 TK Offer 7 days. Customers use this Grameenphone Night Pack both 2G/3G Area networks and uses time from 12 AM to 10 AM. 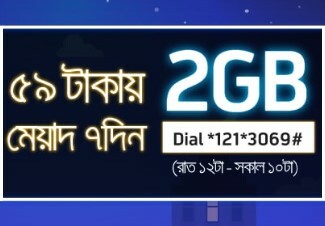 To check Grameenphone 2GB Night pack remaining balance, just Dial *121*1*4#. The GP 2 GB Night Pack 2017 Offer is limited time offer. To Cancel, Deactivated or Unsubscribe GP 2GB @ 59 TK Night Pack Offer 2017, just Dial *121*3041#. Thanks for staying with us a long time and visiting GP Night Pack 2017 Offer 2GB 59 TK article. If you have any confusion or question or want to know more about GP Night Package 2GB Offer 2017, just comment here. We reply as soon as possible.